“Leaving no one behind” is at the heart of the agenda of the Sustainable Development Goals, requiring that health systems be vigilant to how interventions can be accessed equitably by all, including population subgroups that face exclusion. In the World Health Organization (WHO) South-East Asia Region, inequalities can be found across and within countries but there has been a growing commitment to examining and starting to tackle them. Over the past decade in particular, WHO has been developing an armamentarium of tools to enable analysis of health inequalities and action on health equity. Tools include the Health Equity Assessment Toolkit in built-in database and upload database editions, as well as the Innov8 tool for reorientation of national health programmes. Countries across the region have engaged meaningfully in the development and application of these tools, in many cases aligning them with, or including them as part of, ongoing efforts to examine inequities in population subgroups domestically. This paper reflects on these experiences in Bangladesh, India, Indonesia, Nepal, Sri Lanka and Thailand, where efforts have ranged from workshops to programme reorientation; the creation of assemblies and conferences; and collation of evidence through collaborative research, reviews/synthesis and conferences. This promising start must be maintained and expanded, with greater emphasis on building capacity for interpretation and use of evidence on inequalities in policy-making. This may be further enhanced by the use of innovative mixed methodologies and interdisciplinary approaches to refine and contextualize evidence, with a concomitant shift in attention, developing solutions to redress inequities and anchor health reform within communities. There are many lessons to be learnt in this region, as well as mounting political and popular will for change. Universal health coverage (UHC) is one of the targets within the Sustainable Development Goals that the Member States of the United Nations have pledged to achieve by 2030. Target 3.8 has two monitoring indicators: 3.8.1 for coverage of essential health services, for which a compound index from 16 tracer indicators has recently been developed; and 3.8.2 for catastrophic expenditure on health. The global baseline monitoring of these two indicators in 2017 shows that the progress in many low- and middle-income countries is unlikely to be on track and achieved by 2030. The monitoring and evaluation mechanism for UHC progress is a crucial function to hold governments accountable and guide countries along their paths towards UHC. 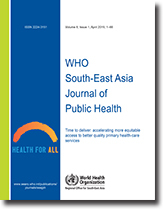 This paper outlines key monitoring and evaluation tools that Thailand uses to track UHC progress; compares the strengths and limitations of each tool; and discusses monitoring gaps and enabling factors related to development of the tools. Thailand uses several data sources to monitor three UHC dimensions: population coverage; service coverage; and financial risk protection. The four key sources are: (i) national surveys; (ii) health facility and administrative data; (iii) specific disease registries; and (iv) research. Each source provides different advantages and is used concurrently to complement the others. 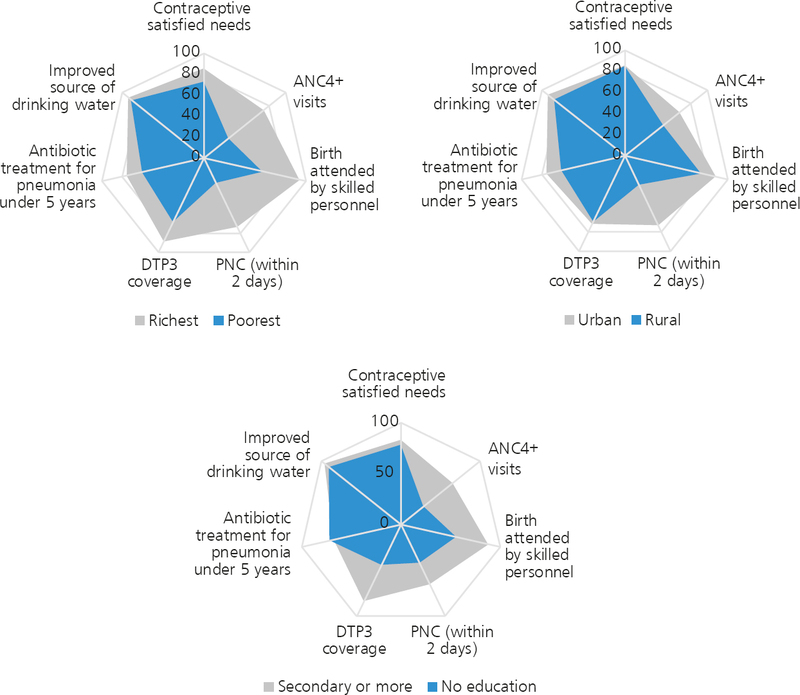 Despite initially being developed to track progress for national health priorities, these tools are able to monitor most of the global UHC indicators. Key enabling factors of Thai monitoring systems are a supportive infrastructure and information system; a policy requirement for routine patient data records; ownership and commitment of the key responsible organizations; multisectoral collaboration; and sustainable in-country capacities. The areas for improvement are monitoring in the non-Thai population; tracking access to essential medicines; and maximizing the use of collected data. Lessons learnt from the Thai experience could be useful for other low- and middle-income countries in developing their UHC monitoring platforms. In common with other countries in the World Health Organization South-East Asia Region, disease patterns in India have rapidly transitioned towards an increased burden of noncommunicable diseases. This epidemiological transition has been a major driver impelling a radical rethink of the structure of health care, especially with respect to the role, quality and capacity of primary health care. In addition to the Pradhan Mantri Jan Arogya Yojana insurance scheme, covering 40% of the poorest and most vulnerable individuals in the country for secondary and tertiary care, Ayushman Bharat is based on an ambitious programme of transforming India’s 150 000 public peripheral health centres into health and wellness centres (HWCs) delivering universal, free comprehensive primary health care by the end of 2022. 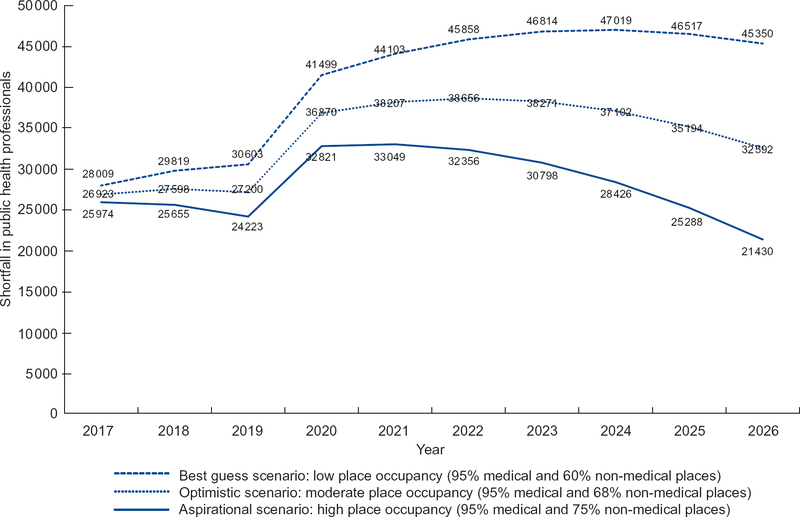 This transformation to facilities delivering high-quality, efficient, equitable and comprehensive care will involve paradigm shifts, not least in human resources to include a new cadre of mid-level health providers. 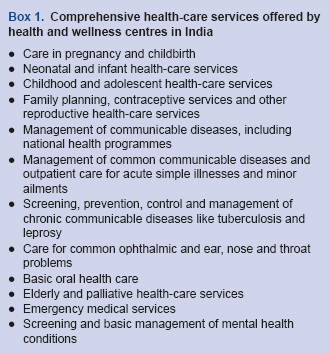 The design of HWCs and the delivery of services build on the experiences and lessons learnt from the National Health Mission, India’s flagship programme for strengthening health systems. Expanding the scope of these components to address the expanded service delivery package will require reorganization of work processes, including addressing the continuum of care across facility levels; moving from episodic pregnancy and delivery, newborn and immunization services to chronic care services; instituting screening and early treatment programmes; ensuring high-quality clinical services; and using information and communications technology for better reporting, focusing on health promotion and addressing health literacy in communities. Although there are major challenges ahead to meet these ambitious goals, it is important to capitalize on the current high level of political commitment accorded to comprehensive primary health care. Since the late 1920s, the Sri Lankan health system has been based on a firm foundation of primary health care, and it has been recognized internationally as a highly successful low-cost model. However, rethinking the future health-care model has been essential, owing to the country having one of the fastest ageing populations in the world, coupled with a high premature mortality from noncommunicable diseases. To sustain past gains and meet new challenges, several models centred on an expanded primary health-care system have been trialled and refined in the past decade. Primary health care was identified as a key priority in the National Health Strategic Master Plan 2016–2025, and in 2018 the Cabinet approved the Policy on healthcare delivery for universal health coverage. This policy introduces the “shared care cluster” system, whereby an apex specialist institution serves the local primary care referral institutions. The catchment population is divided into populations of approximately 5000, for which one family doctor is responsible. Strengthening and retaining human resources at these primary-level curative institutions will be essential, especially in rural locations. Also critical will be initiatives to orient the population’s health-seeking behaviours. 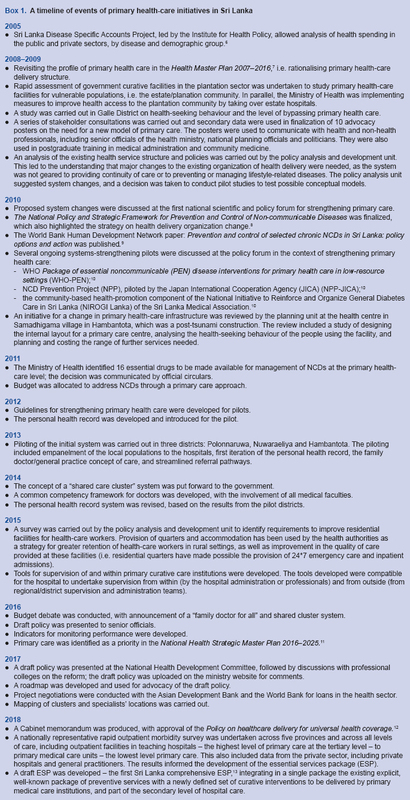 Sustained political commitment, an effective communication strategy, a tailored health workforce policy, performance monitoring and evaluation, coordination mechanisms, and changes in administrative and financial regulations are some of the future factors that will be critical to realizing the full potential of primary health care and accelerating universal health coverage in Sri Lanka. The launch of the Global compact for safe, orderly and regular migration in December 2018 marked the first-ever United Nations global agreement on a common approach to international migration in all its dimensions. The global compact aims to reduce the risks and vulnerabilities migrants face at different stages of migration, by respecting, protecting and fulfilling their human rights and providing them with care and assistance. A key example of the intersection of the right to health and migration is seen in the Greater Mekong Subregion (GMS) – comprising Cambodia, Lao People’s Democratic Republic, Myanmar, the People’s Republic of China (Yunnan Province and Guangxi Zhuang Autonomous Region), Thailand and Viet Nam. The GMS has a highly dynamic and complex pattern of fluctuating migration, and population mobility has been identified as an important concern in the GMS, since five of the six GMS countries are endemic for malaria. Based on the concept of universal health coverage, and as endorsed by the 61st World Health Assembly in 2008, migrants, independently of their legal status, should be included in national health schemes. This paper summarizes work done to understand and address the legal obstacles that migrants face in accessing health services in the GMS countries, and the impact that these obstacles have in relation to elimination of malaria and containment of artemisinin resistance. Despite efforts being made towards achieving universal health coverage in all the GMS countries, no country has current health and social protection regulations to ensure migrants’ access to health services, although in Thailand documented and undocumented migrants can opt for acquiring health insurance. Additionally, there is a lack of migrant-inclusive legislation in GMS countries, since barriers to accessing health services for migrants – such as language and/or socioeconomic factors – have been scarcely considered. Advocacy to promote legislative approaches that include migrants’ health needs has been made at global and regional levels, to overcome these barriers. 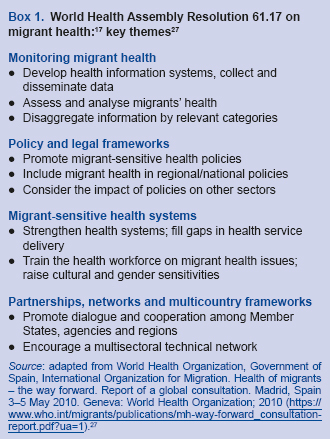 Assistance is available to Member States for reviewing and adopting migrant-friendly policies and legal frameworks that promote rather than hinder migrants’ and mobile populations’ access to health services. According to the constitution of Bangladesh, health is a right and, in 2012, initial work towards universal health coverage was marked by introduction of a health-care financing strategy. However, for 2016, Bangladesh’s domestic general government health expenditure was only 0.42% of gross domestic product, making it one of the lowest-spending countries in the world, with 72% of current health expenditure coming from out-of-pocket spending. One factor that is key to the challenge of providing universal health coverage in Bangladesh is the large proportion of the population who work in the informal sector – an estimated 51.7 million people or 85.1% of the labour force in 2017. Most workers engaged in the informal sector lack job security, social benefits and legal protection. The evidence base on the health needs and health-seeking behaviours of this large population is sparse. The government has recognized that increased efforts are needed to ensure that the country’s notable successes in improving maternal, neonatal and child health need to be expanded to cover the full range of health services to the whole population, and specifically the more marginalized and impoverished sectors of society. In addition to the universal need to increase funding and to improve the availability and quality of primary health care, workers in the informal sector need to be targeted through an explicit mechanism, with enhanced budgetary allocation to health facilities serving these communities. Importantly, there is a clear need to build an evidence base to inform policies that seek to ensure that informal sector workers have greater access to quality health services. Background Owing to lack of indicators, researchers are compelled to use non-specific indicators to assess rational use of medicines in children. Thus, paediatric-specific issues are poorly described. This study aims to develop a set of indicators to describe rational use of oral dosage forms of medicines given to children. Methods A modified RAND/UCLA Appropriateness Method was used. A comprehensive draft list of 40 indicators was compiled, based on the results of a literature review. Twelve experts rated these indicators in two rounds, using a nine-point Likert scale, first in an online survey, for clarity, necessity and scientific merit, and secondly in a face-to-face meeting, for necessity, feasibility and predictive value. An overall panel median score of ≥7 and agreement within the experts were used in indicators. The indicators were ranked independently by the research team and a final list of indicators was prepared. These indicators were pilot-tested for acceptability and interrater reliability. 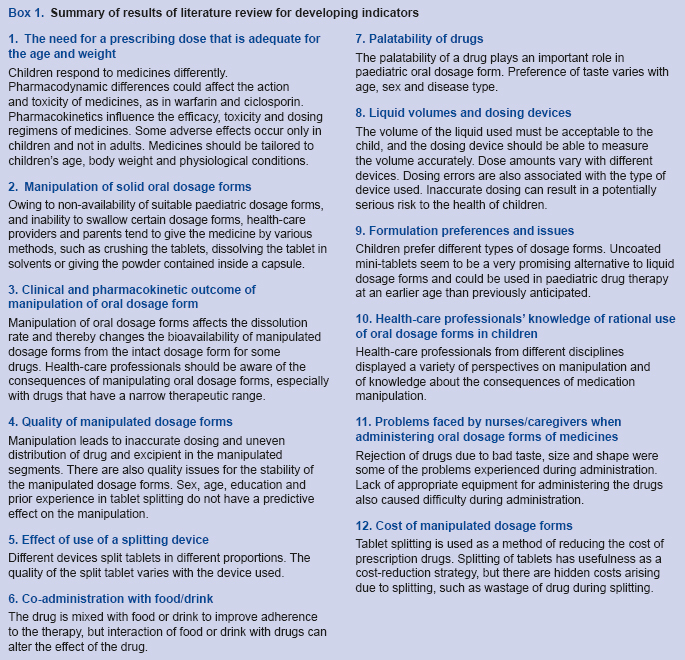 Results Nine prescribing indicators, such as weight, appropriate dose and age-appropriate dosage form; five dispensing indicators, such as adequacy of labelling and inappropriate manipulation by pharmacists; and five administration indicators, such as inappropriate manipulation by parents and full completion of dose, were finalized in the second round. Conclusion This novel approach has provided a set of indicators to describe the use of oral dosage forms of medicines given to children, which can be used by researchers as a supplement to the World Health Organization’s drug use indicators when investigating rational use of medicines in children. Background Approximately 1% of adults in Thailand are infected with hepatitis C virus (HCV). New direct-acting antiviral agents achieve sustained virologic responses in >95% of HCV-infected patients and are becoming available in countries around the world. To prepare for new HCV treatment options in Thailand, this study characterized HCV infections among people who inject drugs (PWID) in Bangkok. Methods The Bangkok Tenofovir Study (BTS) was a pre-exposure prophylaxis trial conducted among PWID, 2005–2013. 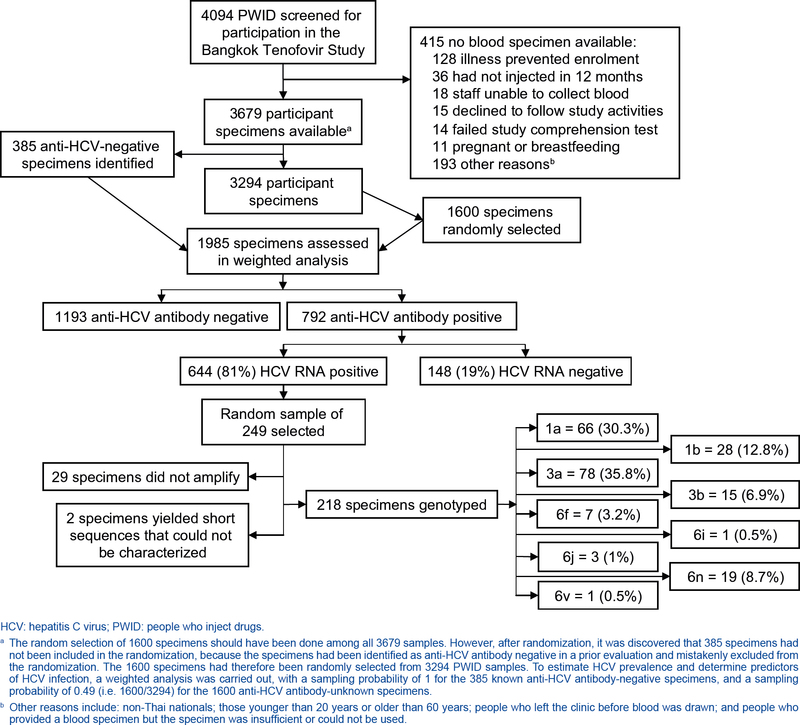 Blood specimens were randomly selected from PWID screened for the BTS, to test for anti-HCV antibody and HCV RNA. The HVR1 region was amplified by polymerase chain reaction, using multiplex primer sets with unique identifier sequences; amplification products were pooled in sets of 25; and consensus sequencing was performed to characterize individual HCV genotypes. Results The median age of 3679 participants tested for anti-HCV antibody was 31 years, 3016 (82.0%) were male and 447 (12.2%) were HIV infected. The prevalence of anti-HCV antibody was 44.3%. The adjusted odds of testing positive for anti-HCV antibody were higher in men (adjusted odds ratio [aOR] 3.2, 95% confidence interval [CI] 2.4–4.3), those aged 40 years or older (aOR 2.7, 95% CI 2.1–3.5), those who had more than a primary school education (aOR 1.7, 95% CI 1.4–2.1), and those who tested HIV positive (aOR 5.2, 95% CI 3.7–7.4). HCV RNA was detected in 644 (81.3%) of the 792 anti-HCV antibody-positive specimens, yielding an HCV RNA-positive prevalence of 36.0% (95% CI 33.8–38.2). Among a random sample of 249 of the 644 specimens, 218 could be characterized, and the most common HCV subtypes were 1a (30.3%), 1b (12.8%), 3a (35.8%), 3b (6.9%) and 6n (8.7%). Conclusion The prevalence of anti-HCV antibody among PWID was 44.3% and more than one third (36.0%) were HCV RNA positive. Genotypes 1, 3 and 6 accounted for all typable infections. As the government of Thailand considers introduction of direct-acting antiviral medications for people with hepatitis C, it will be important to ensure that the medications target these subtypes.